It’s not that I’m trying to be snarky. But with all of yesterday’s worthy tributes to the 150th anniversary of Lincoln’s Gettysburg Address, there were certain words that impaled me as I heard them again and again: Fathers. Liberty. Men. Equal. Yes the writers of The Constitution were all “fathers,” but just as surely as there were women at The Last Supper, there were women in the background of that Great Experiment of creating a new nation as well. And as for Liberty, just four months before Lincoln’s Gettysburg Address, Kit Carson had waged war again the Native Americans of New Mexico and Arizona. This was a mere 24 years after the horrendous Trail of Tears when thousands of American Indians were relocated from the Southeastern States to Oklahoma – a clear and ugly example of ethnic cleansing in our nation’s history. 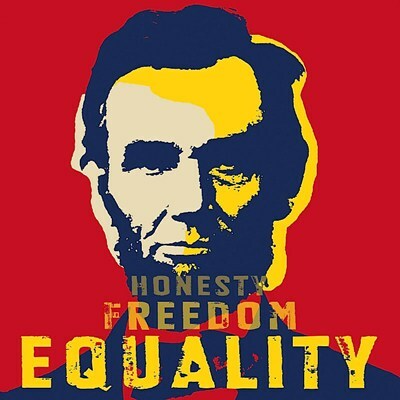 Many will say that in the 19th Century and even in the 21st Century, the word “men” means “men and women” but in the case of Lincoln’s Gettysburg Address, “men” meant “male people.” Keep in mind that even former slaves who were male were given the vote before women of any color. And today – as the governor of Illinois signs the Marriage Equality bill just four blocks south of our office – inequality is alive and well in so many ways. I hear Lincoln’s historic address and imagine that he was not talking about what was as much as he was talking about what could be. Sort of like last Sunday’s lectionary reading from Isaiah. And Jan, why o why do mainstream media outlets STILL find it acceptable to say “man” and “mankind” when they mean no such thing? And then look at us strangely when we raise an objection? Who knew the church would be ahead on such an issue….